A sexual battery complaint against Seal is currently under investigation by the Los Angeles County Sheriff's Department. The "Kiss from a Rose" singer's former neighbour, actress Tracey Birdsall, filed a police report on Saturday (January 13), alleging that Seal had kissed and groped her without consent. 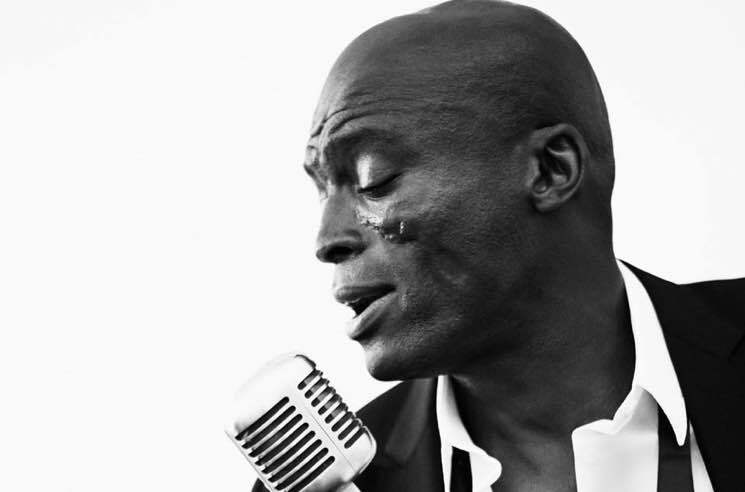 Birdsall and Seal were neighbours and friends in the fall of 2016, and she claims that while she was in his kitchen to retrieve a salad spinner she'd lent him, the singer forced himself on her, attempting to kiss her. According to TMZ, Birdsall initially shouted "What are you doing?" to which Seal responded, "I'm kissing you!" She then alleged that Seal belittled her for what she was wearing (a tank top and shorts) and groped her breasts. She told him to stop. Birdsall said that while she was still in shock, Seal asked her to sit on the couch with him and she complied. While sitting with him, she claims that he commented on her clothing again and then groped her again. Birdsall said that she then left his house and did have contact with Seal after that. She also told TMZ that she was emboldened to report the alleged incident to police after Seal made public comments about Oprah and Harvey Weinstein, later clarifying that he supports women coming forward to share their own stories of sexual misconduct. Seal has denied Birdsall's allegations. A rep for the singer told TMZ: "Seal vehemently denies the recent allegations made against him by a former neighbour for alleged misconduct more than a year ago. He intends to vigorously defend himself against these false allegations."